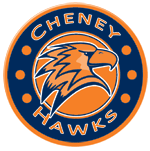 Cheney Middle School has a comprehensive Guidance and Counseling program. All students have access to our program which assists students in educational, career, personal, and social development. The program is based on developmental theories that enhance the potential of all students to become responsible, productive, and healthy citizens.The Cheney Middle School Comprehensive Guidance and Counseling Program assist all students with the acquisition of skills and competencies in the areas of knowledge of self and others, career exploration and planning, education development and career technical development so that students will grow to be responsible citizens.